If you know Zach and me and you know our work then you’ll know we love the future and Zach claims weekly to be in the future. Don’t worry it’s not just Zach there, it’s you too. Not only do we love the future, we love fictional (though that’s arguable depending on your point of view) groups and realities that give context, culture, social heirarchy etc. to ideas (our past work includes the Crane Operators Guild, COG, Mythical Creature Preservation Society, MCPS and the Ministries of Sustenance). Serendipitously, we found the book Spacecraft : 2000 to 2100 AD by Stewart Crowley sitting in the garbage in the alley behind our house. It survived the rain well. This is a popular book from a series published in the late 1970’s and it contains some stellar concept art as well as maintaining the future history character throughout the summary and the author bio. I think I’d like that Stewart Cowley, it seems he’s very adept with macaroni art. 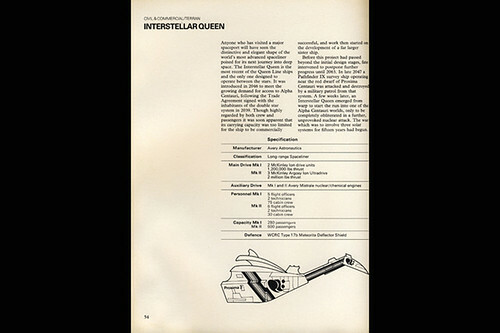 The Terran Trade Authority has books and a role playing game and recently has been updated. 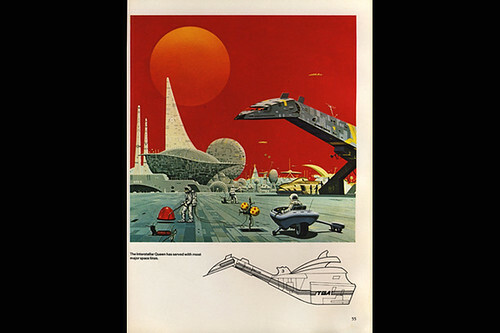 Perhaps they wanted a more contemporary future? 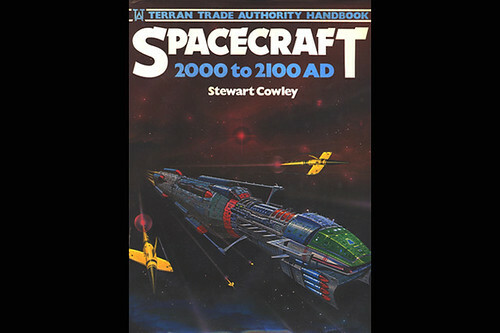 Tagged future, future history, spacecraft 2000 to 2100, stewart cowley. Bookmark the permalink.